These two young men lost their fathers on 9-11. Today they were asked to read off names of the victims. 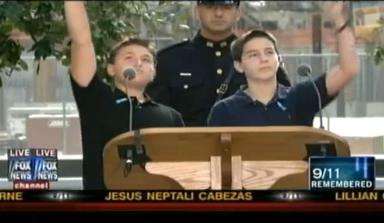 When they finished they blew a kiss to their fathers who were killed on that day.